Like traffic rules, logbook rules will not keep you safe; CDL drivers can learn how to manage sleep. Fatigue is one of the most prevalent problems amongst truck and bus driver. You run a lot of nights, you run a lot of long hours. In the nineteen nineties when I was driving truck, I was operating - running back and forth to New York City two times a week out of Cambridge, Ontario. It's about an eight hour run. There was a night about two o'clock in the morning, I was running down highway 17. Come up over the top of the hill; it had been snowing a little bit. There was a slick bit of snow on the road. I looked down the hill. There's a couple of cars down at the bottom of the hill with brake lights on. I was on cruise and no doubt I had been micro-sleeping for little bit along the way. I was exhausted! I don't know what happened, but anyway I let go of the steering wheel: "it's all over!" Because the trailer started fishtailing at the same time. Somehow I ended up at the bottom of the hill; the cars were gone & the truck was going down the road in a straight line. So rule of fatigue: never drive faster than your guardian angels can fly! Today we are talking about fatigue. Some of the factors that contribute to to fatigue are noise, lack of oxygen, bright lights, and stress. All of these things can make you more tired and affect your ability to do your job at work. Some of these trucks are really loud. Wear hearing protection in the truck, if the truck is really loud, or it's got a set of straight pipes, or those types of things on it. So think about the amount of noise that you are exposed to. Anything over 85 decibels is going to affect your hearing. There are a lots of old truck drivers out there who are wearing hearing aids and are very deaf, because they've been exposed to that constant drone of diesel engines for long periods of time. So think about how much noise you're exposed to in that truck or bus. Turn your dash lights down at night, look away from bright oncoming lights. Try not to flash people with your high beams if they forget to turn their high beams down. Just look at the fog line on the highway and look away so you don't get that bright light in your eyes. We all have busy lives, we're all trying to manage stress. In particular, for long haul truck drivers, you're trying to manage a life over social media and phone. It's difficult, it's tough, but try to manage that. Try to figure out how to do that. We'll talk about some other techniques you can do to deal with stress and how to manage your life. Lack of oxygen - make sure you got good air flow in the cab of the truck. One of the ways that I do it is I either roll down the passenger window; if you're running a road tractor, there'll be vents in the bunk. 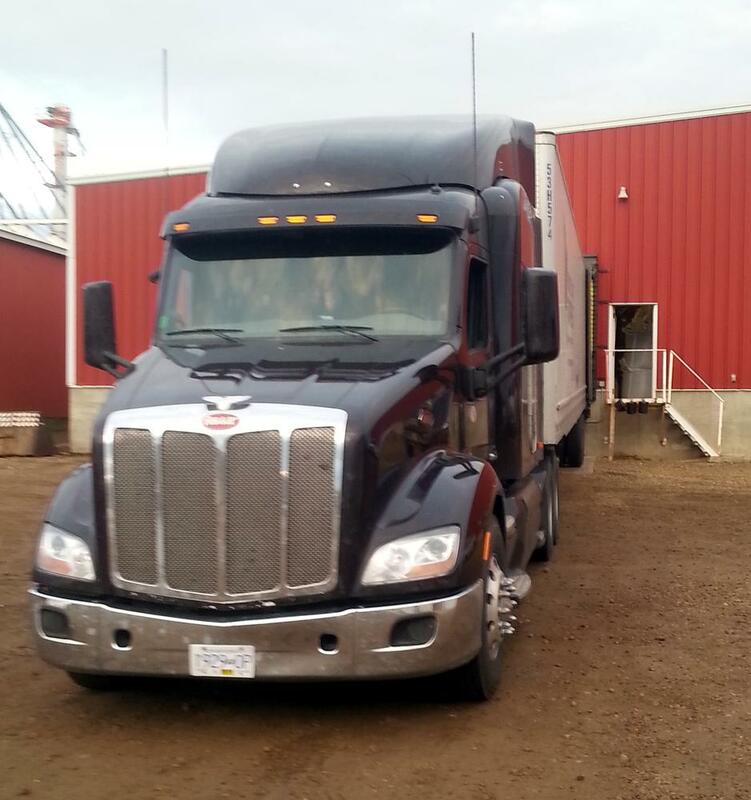 Keep the vents open in the bunk - keep lots of fresh air circulating through the cab. All this will help you combat fatigue. The techniques and tips that you can employ to combat fatigue - route planning. Route planning is probably the number one method that you can combat fatigue and sleep deprivation while driving truck. Particularly for those long hauling. If you can figure out how far you can go in a day and where you need to stop. 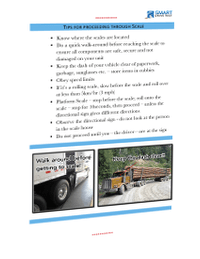 You're better able to find truck stops and rest areas and those types of places that you can park your truck and get proper rest. In Canada, it's a lot harder than it is in the United States, because truck stops and rest areas tend to be a lot more prevalent in the United States. In Canada they're pretty tough! There's a big one in Kamloops - the Petro-Canada. If you don't end up there at six o'clock at night, it's really unlikely that you're gonna find a space to park. You don't want to end up in a place at night when you're dead beat tired trying to find a place to park your truck and there just isn't anything available and you end up driving around all over the place. Truck stops - if they're bigger ones you're gonna find a place to get in there. Rest areas - maybe, maybe not? If you don't, and you're in an urban centre, you can always go to the industrial areas. You can park on the roads in the industrial areas, and those types of places to get a good night's rest. Exercise - particularly for long haul drivers and those drivers working long hours, it's tough to get exercise. We sit for long, long periods of time, but you need to take a break every three or four hours. Get out of the truck, walk around the truck, go for a walk. Do whatever you do. Some drivers take their bicycle. They keep it in the sleeper and go for ride on their bicycle. Whatever you can do to keep active. It is tough, but you know, do what you can. A great website "Trucker fitness." He's got some great tips on how to stay fit, how to keep yourself active while driving in the truck. Reduce noise - we talked about that earlier. Noise reduction headphones will help with that and you know, just those little plug that go in your ears and those types of things. All of that will expose you to less amount of noise. One of the other things that's really helping is better sleepers. I drove a Peterbilt 579 in the fall. These better sleepers - you can turn the motor off - you're not in the cab, you're not being vibrated around because the engines running. They have a battery pack, or an auxillary power unit that heats the sleeper and this provides a better sleep. I was amazed at how comfortable the sleepers were now that you're not having the engine run. It's like being in a bedroom - they're nice and warm, cozy, and you get a really good night's sleep. So these new sleepers are really going a long way to helping truck drivers get better sleep. Some of the other things you need to understand about fatigue is that sleep debt. You can go into sleep debt if you're running long hours for long periods of time. You're going to go into sleep debt; you cannot bank up sleep. You can't go home and sleep for a couple of days and go back on the road. 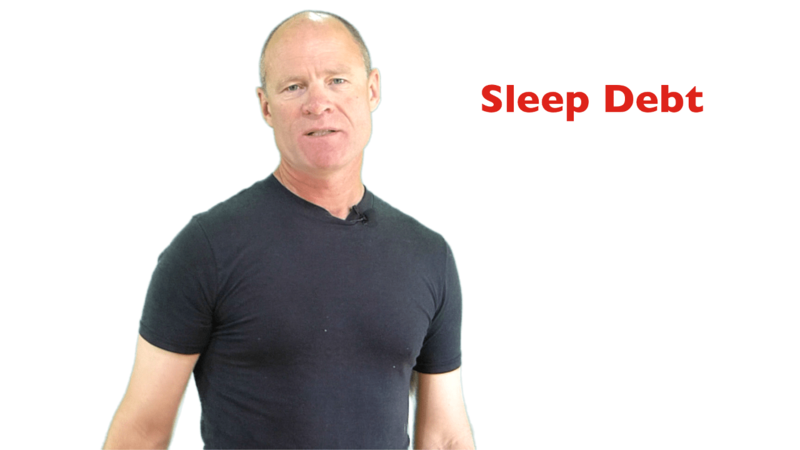 It doesn't work like that, but you can go into sleep debt and sleep debt will contribute to poor sleeping quality during your drives out on the highway. As well, think about what you're eating. Your diet and those types of things. There's all kinds of websites about good healthy eating. If you're eating heavy meals—french fries and hamburgers—going to sit heavy in your stomach, it's going to make you tired. Think about that when you're driving, especially right after meals that you're going to be more prone to fatigue. Circadian rhythm is basically your biological clock in your body. The times of the day that you're gonna be sleepy is basically 1 to 5 in the afternoon. You would be surprised at the number of people that fall asleep in the middle of the afternoon while they're driving their vehicle. Single-vehicle crashes are often hard to investigate because causes that contribute to the crash cannot be explained. But lots of it is people falling asleep in the middle of the afternoon. The other time is 1 to 5 o'clock in the morning. I knew when I was running long haul that I needed to be in the sleeper at 1 to 5 in the morning. Those were the hours of the day that I really needed to have my sleep. Sleep apnea as a sleeping disorder that affects people who tend to be over weight, who have breathing problems and other types of physical disorders. Truck driver suffer from sleep apnea at a much higher percentage than the normal population - or the regular population. Normal is a kind of loose word, but if you're having difficulty sleeping and you're always feeling tired you might wanna go to your general doctor - your GP - and get yourself checked out and see if in fact you are suffering from sleep apnea. Because it could be something that's affecting your quality of sleep, especially if you're feeling tired all the time. Know when you need to sleep during the day. As I said, I needed to sleep between one and five in the morning. If I wasn't in bed between one and five in the morning, it was pretty tough for me to stay awake. No amount of coffee was going to combat that. If you got the windows down & the radio cranked, that's probably a good sign that maybe you need to pull over and get a bit of sleep. Playing loud music, chewing your fingernails - as well, chewing my fingernails! If I knew when I was driving truck that I started chewing my fingernails, I needed to be off the road within 10 minutes. That was a sure sign that I was going to fall asleep. Singing, banging the steering wheel, your head tilting forward like this - you're having micro sleeps, and they've shown in studies that micro sleeps - you'll fall asleep for three or four seconds at a time and then wake up. So if you're always fighting that and trying to stay awake, that's one of the sure signs that you are falling asleep and need to pull over and get some sleep. Talk to Somebody—get a hands-free cellphone—talk to them on the CB (Citizen-Band Radio). That'll help you to stay awake. Get a few minutes sleep, even if it's twenty minutes, an hour in the sleeper. Get a little bit of sleep - all that will help. Lots of ventilation in the cab as I said earlier. Plan your route, plan we're you're gonna stop. Get your rest areas and plan the number of hours that you're gonna get some rest, especially in Canada. Because truck stops are few and far between and often they're crowded after six o'clock at night. Finally when I used to drive truck I had a 10 pound bag of carrots down beside the seat. I knew that if I ate it would keep me awake. But again you don't want to be eating garbage; you don't want to be eating junk. Carrots, rice cakes, those types of things all of that, you know, you can eat those for a while. Eating will keep you awake. Audio books: go to the library get some audiobooks. Listen to stories while you're going up and down the road. It keeps your mind active. If your mind is active, it's probably more on the task of driving. In conclusion, piecemeal work—getting paid by the mile—getting paid by the load - all this is going to encourage drivers to infringe upon their sleep and it is imperative that drivers manage your sleep, manage your fatigue because logbook laws, like traffic laws, are not going to keep you safe. So it's up to the driver to have some information about circadian rhythms - what time of the day that your body is naturally inclined to go to sleep? Mid-afternoon, middle of the night, 1 to 5 - both times, a.m. and p.m. As well, sleep apnea. These are the disorders that people suffer from and truck drivers suffer at a higher percentage than the general population. So know about sleep apnea. If you display any of the signs of sleep apnea, maybe go and see your GP, general doctor, and maybe see if you suffer from sleep apnea because your quality of sleep is important. Healthy meals, exercise, managing stress - all of these things will go a long way to truck drivers and bus drivers managing fatigue. It's a little easier for a truck driver, especially if you're running with the road tractor to jump in the bunk and get twenty minutes, half an hour's sleep. Bus drivers run on schedules and when I first started driving bus, and I was running overnight it was a little tougher for me to sort of manage my sleep because the bus ran on schedule. And you had to be at a certain place at a certain time so there were lots of rest areas, especially at the beginning, where I was getting out and running around the bus trying to stay awake at night. So some of the techniques that you can employ to keep yourself awake - talk to somebody else on your hands free cell phone. Talking to somebody else on your CB, eating, as I said I always had a 10 pound bag of carrots down beside the seat and I was always gnawing away on carrots. I think a couple of times I even turned a little bit orange. So think about all that, think about managing your fatigue and going up and down the road. Route planning - keep all of that in mind. Question for my smart drivers: how do you manage your fatigue? Leave a comment down in the comment section. Share that with the rest of the smart drivers - all of that goes along way for the new drivers that we're trying to help out here, and for the veterans, that'll really pass on some knowledge to some of the other drivers. 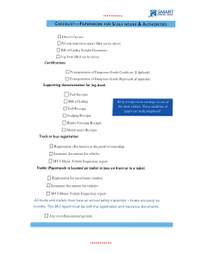 Check out the log book course. You can find the link here. 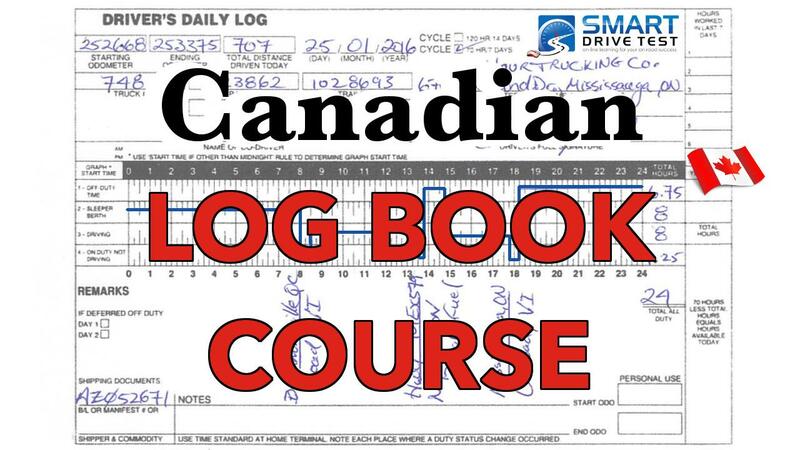 The log book course consists of all of the instructional videos, written down rules and regulations for log books - both basic and advanced videos. You can find them here on the YouTube channel as well. 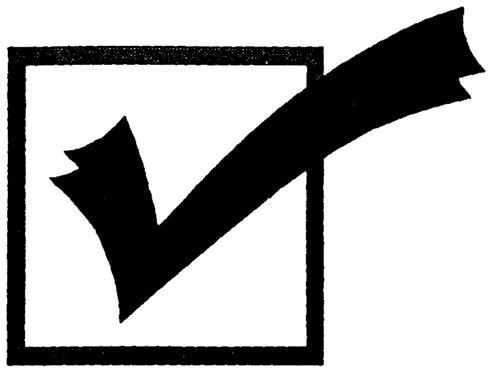 The exercises, the courses on my website include all kinds of questions related specifically to log books - specifically to the exercises. There's two exercises for you to fill out. As well, there's a work cycle calculator - that's free, included in the course - the logbook course. And at the end of the log book course, you'll receive a certification of completion. All of that for less than $25. Head over to my website, check out the logbook course, both for Canada and the United States, depending on which country your in.